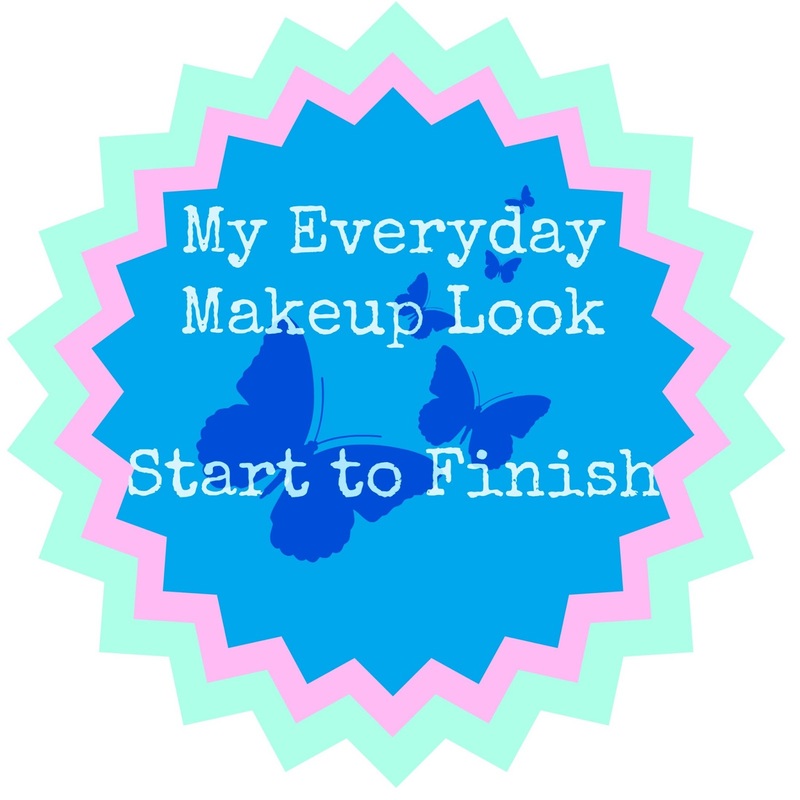 Here is my start to finish how to / getting ready everyday look. I'm sure most of what I mention y'all already know I just wanted to try and be as detailed as possible. Let me know if you have any questions, tips for me & other readers and I hope you enjoy. I am LOVING this Simple light moisturizer. So much so that I went back and bought 2 more ! I also bought a back up of this Clean Finish by Rimmel. I am not a huge fan of my facial sponge, have had it for about a year now. I got it from Ulta I believe it was their own brands' item. It does the job but is quite dense and not very bouncy on the skin. Makes me want to pick up a Beauty Blender even more but I can't justify $25 on a sponge. Standing up is Garnier undereye corrector, its soothing and cooling. Its definetly not curing my dark under eyes but it does create a nice base for the bottom right hand Gentle Cover Concealer in yellow by Physicians Formula. 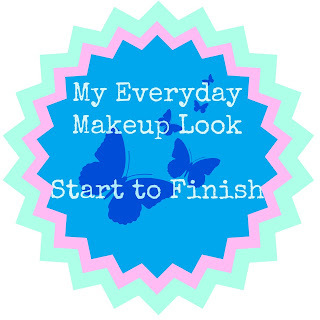 I do this at the beginning of my face routine then after everything is applied ie: eye shadow, mascara etc I will then go back in and lightly pat on a lighter shade N 1,2,3 Loreal True Match super blendable concealer. This brightens my under eyes. I have considered picking up Loreal or Maybellines 'lume' under eye brighteners but am waiting to run out on these before purchasing more. I use the Healing Cover Stick by Neutrogena around my nose but not too-too heavily sense it is a bit greasey and I have oily skin. The best concealer for my face that I have found is another Physicians Formula product. The Conceal RX. I not only own this one but have I think 3 more in my makeup stockpile. It is a thicker liquid an provides excellent coverage. It is NOT too good at building up several layers, it tends to look caked on when I have tried this, but layers aren't usually needed. The Conceal RX provides great coverage on the first application usually. I also like it because it hasn't made my skin breakout like other 'thicker' concealers have. Major PLUS ! 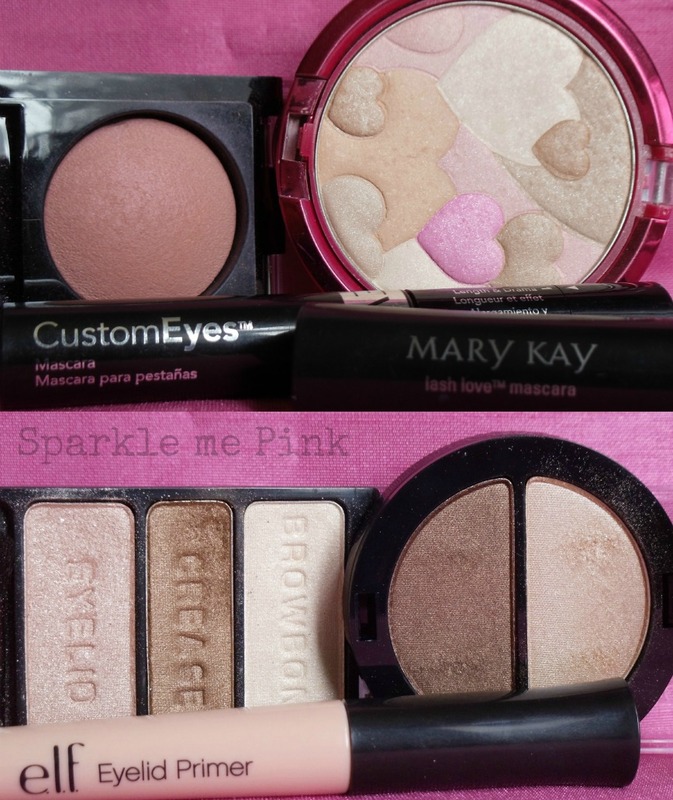 In this first picture is the blush I used by Revlon in 'Rose Berry'. The highlight by Physicians Formula - Mood Booster in translucent and my at the moment favorite mascaras. One by Mary Kay 'Lash Love' and the other by Revlon, 'Custom Eyes'. Next up - I used one of my fav go to quick eye look palette by Wet n Wild in 'Walking on Eggshells' for only $2.99 these eye shadows are great ! Especially when I use my fav e.l.f. 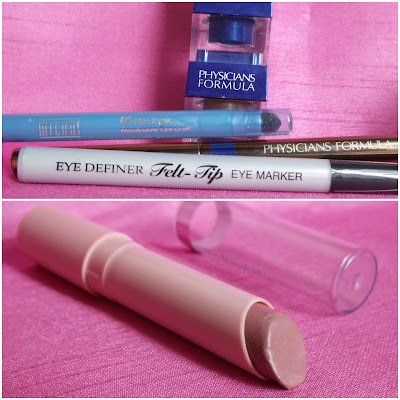 Essential Eyelid Primer ! In this video I also used my new Sephora duo in 'Natural Brown'. These too are very blendable and smooth. 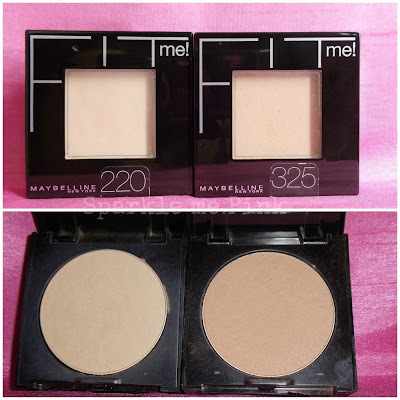 I am liking these powders, I wish they helped with my oily complexion through out the day without reapplication but for pictures or maybe as a touch up powder these are really nice and blendable. I have tried so many powders to set my foundation, Do you have oily skin like mine ? 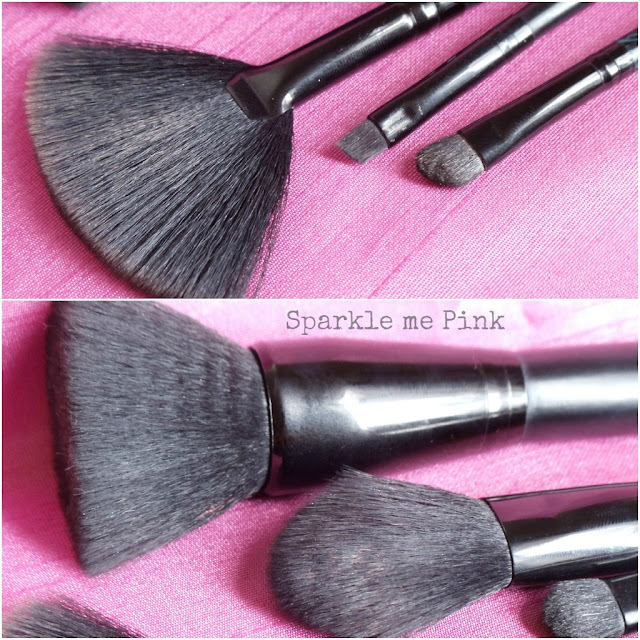 Does your powder help prevent you from getting shiny throughout the day ? What do you guys use ? And lastly for the makeup I used are the eyeliners and lip balm. The cream eyeliner pictured by Physicians Formula but now that I think about it (I took these product picture several days after the video) I don't think I used this that day haha but they are great cream liners. The blue glitter pencil is by Milani, the felt tip to help achieve a bit of a wing to define the eye is by physicians formula. As well as the bronzey brown liner I used on my bottom water liner . And the balm is by Covergirl and is in 'Demure' a perfect everyday lip tint. Natural I used my fav brushes - by e.l.f. Studio Collection . I picked these up at Target for $3 a piece ! They are soooo soft ! 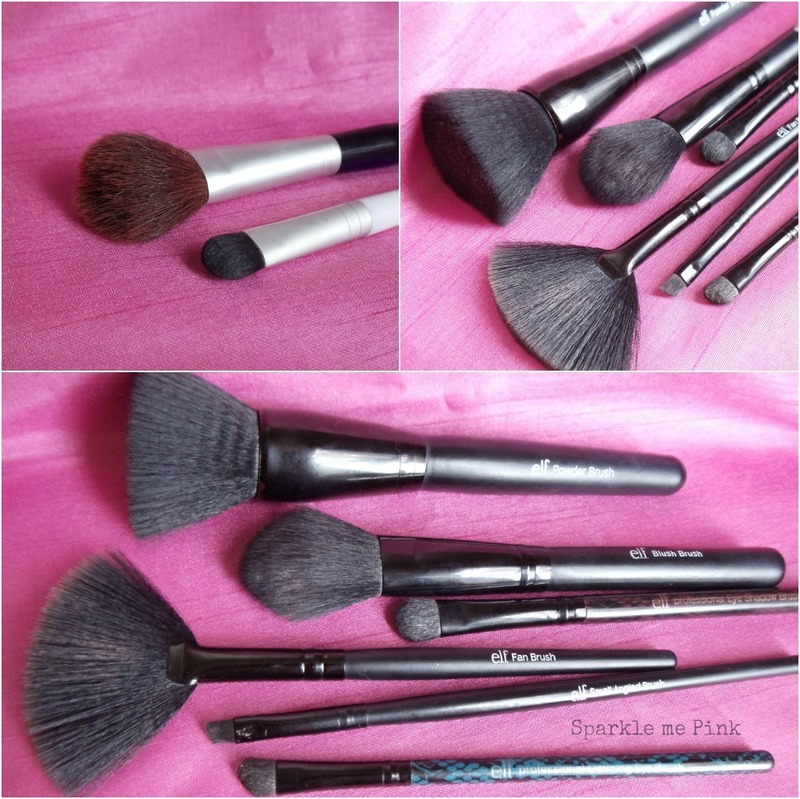 Brushes I used : Powder, Blush, Eye shadow, Fan, Small Angled and Defining Eye Brush. The 2 brushes in the top left corner I have had forever, I am un sure of their brand names / titles. Thank you, I am still quite embarrassed of the me not wearing makeup like half the video kinda deal tho haha ! But y'all an see my skin is by FAR not perfect !